As cute and innocent as they look, squirrels can be aggressive little creatures. Many people are fooled by their furry, bushy tails and their cartoon-like appearance. 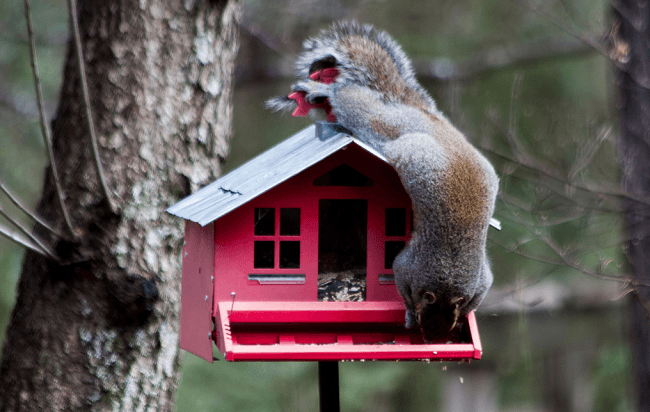 These people put themselves in a risk – squirrels do bite and this could be potentially dangerous. Even if you have to handle a baby or a young squirrel, you should still be prepared. Here’s everything you need to know about squirrel bites and what to do about those. Squirrels are rodents. Just like other rodents, they have four large incisors – two on top and two on the bottom of their jaw. The incisors never stop growing. This is one of the main reasons why squirrels, just like all other rodents, keep on gnawing on something. In the case of squirrels, this something is most often the bark of trees. The incisors of squirrels are really sharp and they can cut through thick substances. When they find themselves incapable of cutting through something with their front teeth, squirrels can also use their paws that are equipped with sharp claws. 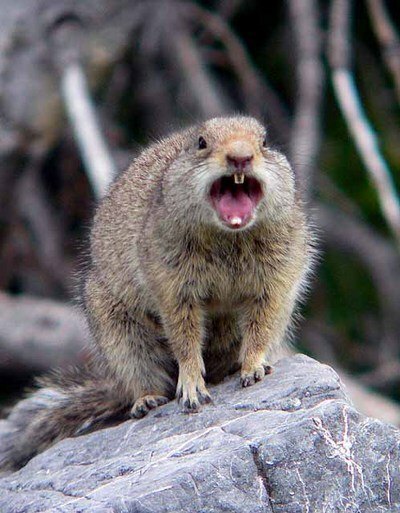 Squirrels are highly unlikely to get aggressive for no reason. Keep in mind, however, that these animals have a sharp vision and smell. If they perceive a threat, the squirrels are very likely to get in a fight or flight mode. A squirrel that’s cornered by a human being or a pet like a cat or a dog is likely to defend itself and bite. Attempting to pick up a squirrel without wearing gloves is a big no-no. It could use either its claws or the sharp incisors to defend itself. Regardless of this fact, squirrel bites aren’t all that common. Of all animal bite cases, only one percent can be attributed to a squirrel bite. As you can already see, attempting to hand-feed a squirrel is another big mistake. Even if the animal is amicable, it can bite the hand that feeds it (literally!) accidentally. If you have to feed a squirrel from your hand, put a leather glove on and place the nuts or seeds on the horizontal palm. Regardless of the fact that squirrels aren’t aggressive, keeping one as a pet is far from a good idea. As already mentioned, the squirrel’s incisors will never stop growing. This means it’s going to munch on just about anything that it finds in the house. Furniture, accessories and even multimedia equipment aren’t going to be spared. Squirrels are also likely to eat everything that appears to be tasty. Wallpaper, drywall and furniture may seem like a delicious snack that the squirrel will be eager to try. Finally, squirrels can’t be trained like other pets. They don’t have a bite inhibition reflect like dogs, for example. A dog that bites you once can easily be trained to refrain from doing so ever again in the future. Good luck accomplishing the same thing with a squirrel! Alright, squirrels aren’t aggressive and they’re not going to bite unless provoked. Still, we’ve all seen clips or heard stories about an individual or a pet getting attacked by a squirrel gone crazy. Are these stories the truth or do they remain in the realm of urban legends? Squirrels are likely to attack if they’re forced to defend themselves. Instead of remaining in a corner, they may choose an alternative strategy in an attempt to save their lives. In such instances, squirrels may leap forward and attack a human. Most people worry about infections and rabies that can be transmitted through a squirrel bite. This isn’t such a huge issue. Research suggests that small mammals like squirrels, rabbits and chipmunks are rarely the carriers of rabies. Human beings are at an insignificant risk of getting such an infection from a squirrel. In fact, the risk is so insignificant that a squirrel bite isn’t going to trigger an emergency rabies vaccination protocol in the clinic. Squirrels, however, could carry some parasites and bacteria that will lead to an infection in the case of untreated bite wounds. Squirrels often have fleas and they may also carry ticks. These are secondary sources of infection that could cause problems. If you ever happen to be bitten by a squirrel, you will need to get medical attention. A doctor will asses the condition of the wound and give you a better idea about what it takes to reduce the risk of infection significantly.